What is Exotic Newcastle Disease (END)? 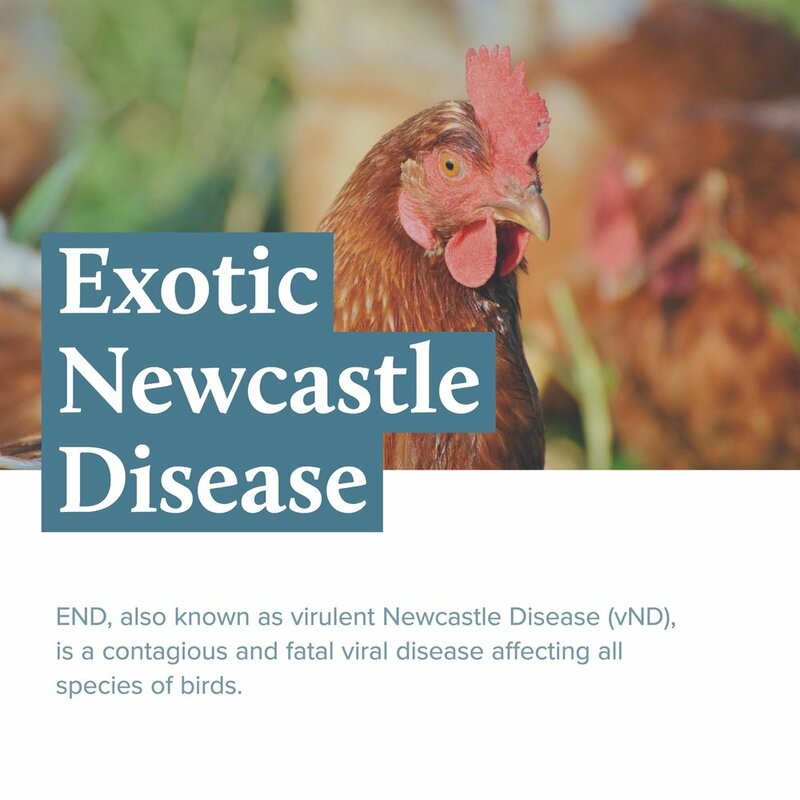 END, also known as virulent Newcastle Disease (vND), is a contagious and fatal viral disease affecting all species of birds. END is one of the most infectious diseases of poultry in the world and is so fatal that many birds die without showing any signs of disease. The death rate of almost 100 percent can occur in unvaccinated poultry flocks. It can also infect and cause death even in vaccinated birds. Exotic Newcastle Disease (END) is spread mainly through direct contact between healthy birds and the bodily discharges of infected birds. The disease is transmitted through infected birds' droppings and secretions from the nose, mouth, and eyes. END spreads rapidly among birds kept in a confined space, such as commercially-raised chickens. Virus-bearing material can be picked up on shoes and clothing and carried from an infected flock to a healthy one. The disease is often spread by vaccination and debeaking crews, manure haulers, rendering truck drivers, feed delivery personnel, poultry buyers, egg service people, and poultry farm owners and employees. The END virus can survive for several weeks in a warm and humid environment on birds' feathers, manure, and other materials. It can survive indefinitely in frozen material. However, the virus is destroyed rapidly by dehydration and by the ultraviolet rays in sunlight. 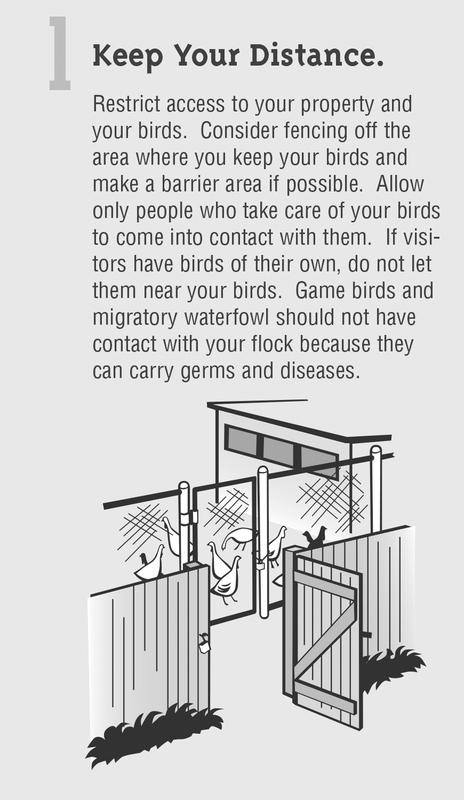 Vaccination is another tool to protect your birds against END. Your local agricultural extension office, veterinarian, or feed stores that sell vaccines in your area can give vital information on the proper vaccines for your birds. Good health for your birds benefits everyone.